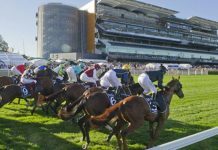 WA racing is coming to it’s busiest time of the year with a host of Group 1 races set to be run and won in the coming weeks. We sat down with WA Winners pro-punter Mark Van Triet for a chat. 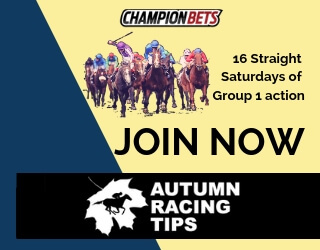 You’ve been running WA Winners for Champion Bets for about 15 months now. How have things been going? It’s been good. We’re profitable. You have your ups and downs, and by my own standards I think the last three months have been down a bit. We’ve taken a bit of a hit but that’s just the ebbs and flows of the business we’re in. That’s why we have proper staking plans that we stick to, and we ride rougher patches out. We had a reasonable day last Saturday at Ascot, which I was looking forward to. 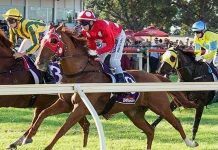 It’s a great track to bet on because it generally plays hard and fast – the summer months in Perth are pretty consistent. The winter in Perth this year (where they race more at Belmont) was unusually wet, which played a bit of havoc with the track. The rail movements were tough, I don’t think the jockeys even knew where to go half the time. The track itself handled it alright – I think they only lost one meeting – but I’m quite glad we’re back to Ascot! You’re based in the east, why is it that you focus on WA racing for your punting? Doing the form for the west is a lot easier than anywhere on the east coast. 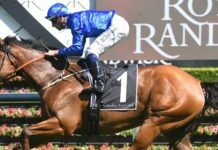 For example, if you were to focus on Victoria, you can ask Trev what it’s like with when you’ve got horses coming in from Sydney, Adelaide, Queensland, New Zealand and also the internationals that come in for the Spring Carnival. They’re coming from every direction, whereas in Perth it’s pretty much the same pool of horses week in, week out. A few come over from the east at this time of year, but they’re generally easy to get a line on. So it’s a lot easier to maintain your form work, and as I was saying earlier, especially in the summer months the tracks are very consistent and the weather is perfect. It’s hot every day and they play hard and fast. So when you’re doing the form, you know exactly what you’re getting. I assume you spent many years betting on the east coast, was it those factors that drew you to WA racing? Yep, absolutely. It’s just easier to keep on top of everything. It’s a small pool of jockeys too, which helps. On jockeys… the one thing everybody knows about WA is ‘Back Pike’. Do you find he’s over-bet as a result? 100%. Everybody who doesn’t follow WA racing just says “W. Pike in the last!”. It can work for us or against us, you’ve just got to pick your mark. Which other WA jockeys do you rate? Chris Parnham has returned which is great, he’s a really high quality rider and it’s made a big difference to the riding ranks. He keeps Willie Pike honest. 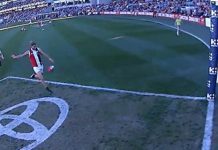 I really like Tayla Stone on the front runners. I think she’s almost unbeatable when she gets out in front. She rates them really well and they run for her. We get a lot of value on her runners. And what about trainers? Anybody in particular you like backing? There’s the obvious ones such as Grant and Alana Williams and Adam Durrant. But I also find Danny Morton comes to the fore at this time of year and gets a lot of winners at Ascot, which is his home track. He’s one to keep an eye on. And WA racing in general… how do you think it’s going? I think it’s going quite well. The prizemoney is quite good, it becomes really worthwhile winning a race and with bonuses it can be comparable to other, bigger states. It’s cheaper to have a horse trained in the west too, so it can become an attractive option. The whole redevelopment at Belmont will be very interesting. I think the idea, once they get the lights and the upgrades done, is to run alongside and co-mingle with Hong Kong. The track itself will get a decent upgrade too, which will be great. It can only strengthen things. There’s plenty of positives for Perth racing. This is probably the one time of year that you do get raiders coming in from other states, how do you go lining up the form and have you been successful? The horses really vary and I think connections of horses approach it in a variety of ways. If you can find a horse that’s been specifically targeted for one of the big Perth races, I’ve found that they’re the ones you want to be on. Then you have those that have already had a hard campaign over the Spring Carnival, and might have already had a couple of grand finals. It’s very, very hard for those horses to go over to Perth and win. I’ll touch on those later in the week in my race previews for the weekend. It’s the best time of year for racing out West, and Mark’s WA Winners is the way to go. 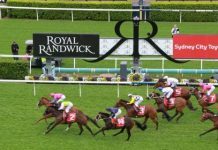 Get suggested bets and a staking plan each race day out West, plus a full set of ratings for meetings at Belmont and Ascot. 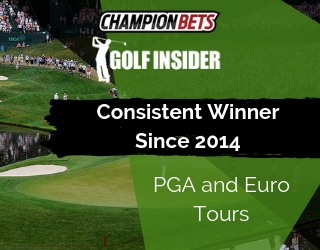 In profit after 15 months since launching with Champion Bets, and with years of experience behind him prior, Mark’s track record as a pro-punter is undoubtedly proven. Start winning with WA Winners today.